Abhimanyu and Mani’s twist is going to end soon. But before that comes Raman and Ishita’s fun in Navratri. 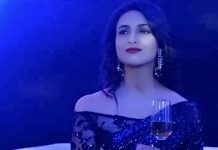 Raman lightens Ishita by joking and passing usual taunts on her, to show everything is normal again, after he has raised his voice on her for Shagun and Ashok’s matter. Raman feels he has scolded Ishita a lot and apologizes for the same in his usual rude manner. But we all know Raman is very soft at heart and just has to express himself the right way. 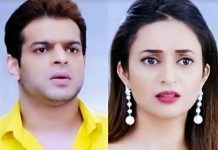 Ishita knows Raman hides his care and worry behind his anger. The Iyers and Bhallas do the Navratri puja. Ishita and Raman do the puja and aarti together in the Bhalla house in the Navratri time. Ishita does it like she is guided by the elders. She prays for Raman and Ruhi’s happiness. Raman fools Ishita and made her become mute for Navratri days. He fools her by saying it’s a ritual and even Mrs. Bhalla used to do the being-mute fast (MaunVrath) for nine days of Navratri. He makes Romi agree with him and confuses Ishita. Ishita falls in his trap and she acts mute. She talks to everyone via signs. Mr. Bhalla tells Ishita that Rama and Romi have fooled her. She breaks her Maunvrath and gets angry on Raman. The Iyers also celebrate their Tamil festival. Ishita heads there for the festival and see Ruhi and Shravan fighting for the Barbie doll. Ishita asks them not to fight. Raman spoke to Shravan to end their fight. Raman witnesses Mani’s entry in Iyer house. Mani touched Amma’s feet and gave her a bouquet. Amma and Ishita hug Mani happily. Raman was shocked knowing Abhimanyu is Ishita’s friend Mani. Raman realized he was wrong to think Murli is Mani. He gets jealous seeing Ishita hugging Mani. Raman stays quiet and looks on how Mani has his strong roots in Iyer family. Ishita welcomes Mani for the festival. 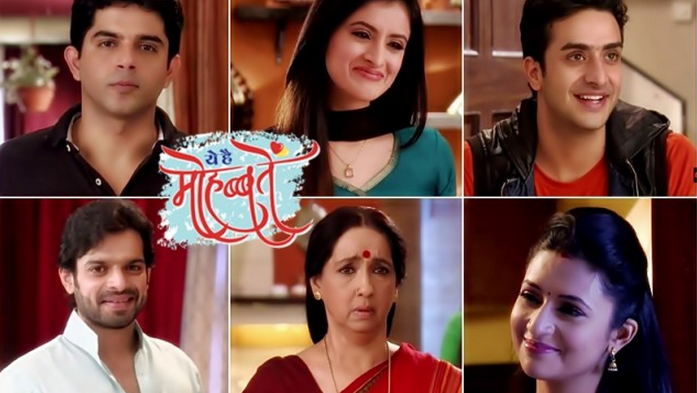 Raman feels Mani is just perfect and fits well in Iyer family. He sees Mani’s bonding with them. Raman’s heart starts burning seeing Mani and Ishita happy, and in their own world sidelining him. Will Raman try to mend his taunting ways and be a humble gentleman just like Mani? Keep reading. I hope that ashok and mihika wedding is a joke.dont even try it the thot or it already makes me hate the show. Yes Ashok is sick and a mean person who only plays with girls feelings and sagun is mad to love such a stupid and selfish person actually after his br has entered into his house the two of them are gone out of control and mean please don’t spoil mihika life mihir love her alot and their make a nice pay on screen don’t seperate them change the track and don’t get ashok married at all let sagun get to know about him and be away of both the brothers plan and get him arrested in any case if possible. Actually ashok will marry shagun.He will blackmail mihika to marry him but raman and ishitha trap him and he will be married to shagun unknowingly. But I am thinking about raman, he’s already so jealous,I am so excited to see what happens next…. Such a worst acting of Ishitha. I just hate her acting, over expressions and over acting.